Flexible furniture that evolves with you has a certain maturity that’s ideal for adulting. Some pieces of furniture we simply outgrow, but the beauty of modular shelving is that it ages gracefully right along with you. An investment item you can add to or subtract from as your needs dictate and budget allows, whether you’re looking to maximise your space and storage or take visual interest to new heights, it can be configured and reconfigured for life. 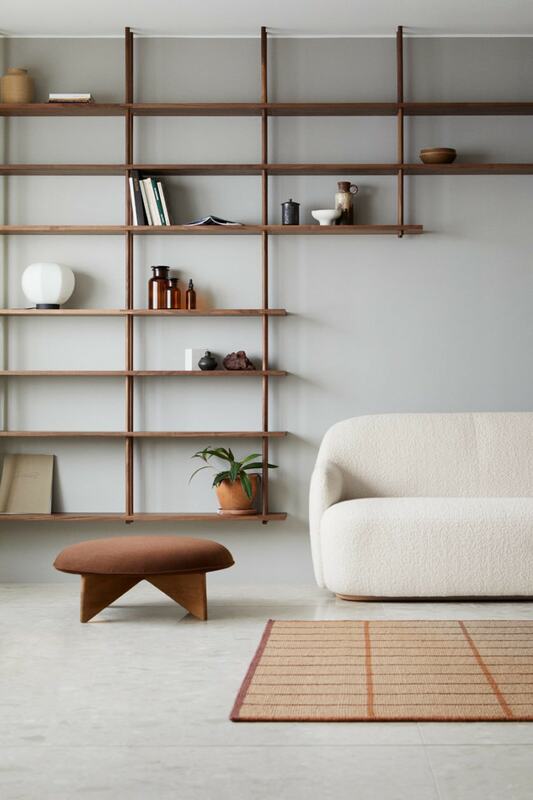 We’re enamoured by the beautiful lines of Swedish brand Fogia’s first foray into modular shelving, Bond (pictured), which recently featured at Stockholm Design Week. Designed by Main, the slender rod-and-shelf structure can be hung from the ceiling, mounted on the wall or stood on the floor. Buy it now, use it forever — such designs never go out of style, as you can change what you’re displaying as often as you like. MAIN IMAGES Bond modular shelving system by Fogia, from $1463, fredinternational.com.au. 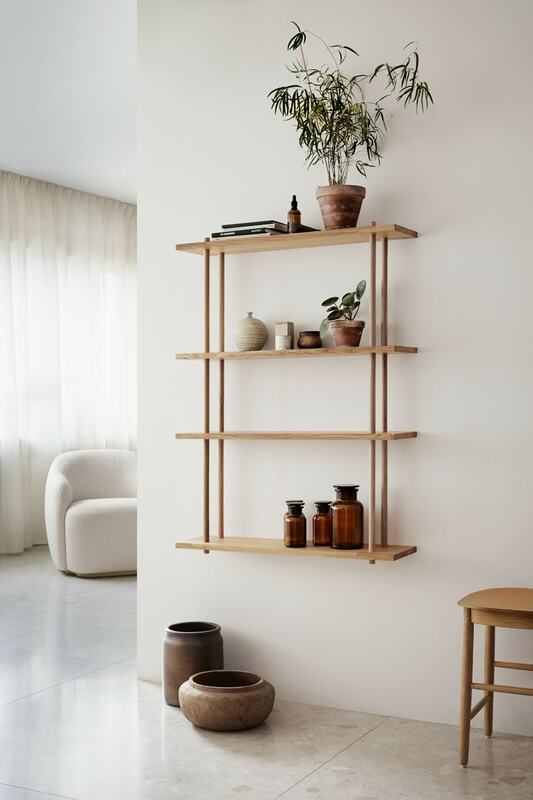 ABOVE, FROM TOP Modular shelving system by String, $365/set of three shelves, bobandfriends.co.nz. Panton Wire shelf by Montana Furniture, $630, cultdesign.co.nz. Show cabinet (a component of Montana’s system), $895, cultdesign.co.nz. Tilt 2 High modular shelves, $1190, cittadesign.com.